Deb and I took to the rails at the end of December and boarded an Amtrak train in Rhode Island and headed to Atlanta, Georgia. We arrived on January first and picked up our mobile office- classroom (a 2007 Toyota Highlander Hybrid) and drove to Memphis, Tennessee to visit our friend, Jason, of some 30 years. Jason is a pilot that flies a commercial twin prop with things like human organs and such that need to get to hospitals fast. He wasn’t always a commercial pilot. When I meet Jason he was 29 and I was 37. We volunteered together in Boston to help fix up an o ld building that housed a not-for-profit woman’s organization. That was 1987. We had a few things in common. We were both short (although that is relative), had drive, ambition and a big heart. When Jason’s roommate moved out Jason moved into my place (this was before I met the lovely Deborah who later became my wife). Jason was working for a big computer company and that looked like lifetime job. It wasn’t. Then he left Worcester for a job in Albuquerque, NM. 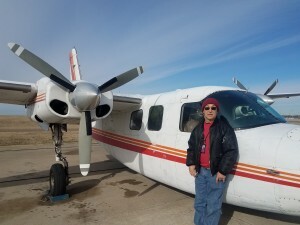 He had been a Civil Air Patrol Pilot in Worcester and loved to fly so he volunteered with the New Mexico Civil Air Patrol and continued to help people. Getting a commercial pilot license is difficult and without military service or lots of money almost impossible. Jason had neither one. But he continued on and after many jobs that were not great but paid the bills his dream was still alive. Ten years went by and we stayed in touch but still no commercial pilot license. Then twenty years and he was still doing telemarketing. More years passed and then so did his parents. They were not rich but the inheritance helped pay for more training and after 28 years of sticking with it, Jason passed every test and celebrated by calling me with the good news…but no job flying. Applications went out but now he is in his mid-50’s. Then it happened! 11 months ago Jason moved to Memphis and now every night he arrives at the airport around midnight and takes off about 1am for a round trip to Birmingham, Alabama. I have made a lot of friends, in and out of the automotive business, but few have stayed with it this long for their dream job. We can all learn from my old roommate Jason. You are never too old to chase your dreams.